Will Scotland be a lucky country? Four-leaf Clover by Hyoung Won Park, on Flickr. Can these principles be applied to a country as well as individuals? And if they can, would they combine to make Scotland a lucky place after independence? Let’s have a look at each of them in turn. The second principle — intuition — is harder to apply to a country. One might argue that in a country with a high degree of trust in political institutions, there’s a tendency to accept other people’s actions without seeing the rationale for them. The problem with this argument is that not all small countries are very trusting. According to this article, the Nordic countries score very highly, but many ex-communist countries are at the bottom. So a lot might here depend on Scotland managing to learn the right lessons from the Scandinavia. The third principle — self-fulfilling prophesies via positive expectations — applies easily: The story of Scotland is a positive one, especially after a Yes vote, and it’s one that will appeal to people both here and abroad. It’s not like the UK that immediately conjures up images on colonialism, racism, privilege and corruption. So people in an independent Scotland will expect to do well, and therefore they will. The fourth principle — a resilient attitude — comes naturally in a small country. I grew up in Denmark, and you had a feeling that you were all in it together. If the government for instance said that salaries were rising too fast, it was easy to reach a consensus to do something about it — you didn’t feel that your benefits were being cut and your taxes increased just so that the bankers in could keep their bonuses. 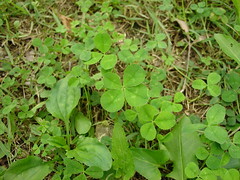 Unlucky people often fail to follow their intuition when making a choice, whereas lucky people tend to respect hunches. Lucky people are interested in how they both think and feel about the various options, rather than simply looking at the rational side of the situation. I think this helps them because gut feelings act as an alarm bell – a reason to consider a decision carefully. Unlucky people tend to be creatures of routine. They tend to take the same route to and from work and talk to the same types of people at parties. In contrast, many lucky people try to introduce variety into their lives. This is a very accurate description of the Yes and No campaigns: Most Yes campaigners both think and feel that independence is the right way forward, whereas the No campaigners tend to fight for a No in spite of their feelings (the “I’m a proud Scot but …” sentiment). Also, many No campaigners cling to the UK because that’s their routine, whereas Yes campaigners love to think about the endless possibilities that an independent Scotland will offer us. Of course Scotland will still belong to both groups after the referendum, but I don’t think there’s any doubt that the winning campaign will make Scotland more like themselves. If Yes wins, the visionaries and optimists will be running the country, whereas it will be the unlucky pessimists who will be running the show after a No vote. If Scotland votes Yes on 18 September, the country will be brimming with energy and positivism — exactly the circumstances that means we’ll create and notice chance opportunities, make lucky decisions by listening to our intuition, create self-fulfilling prophesies via positive expectations, and adopt a resilient attitude that transforms bad luck into good. In other words, Scotland will become a lucky country. Very interesting Thomas Widmann. I think all the positive energy coming from an independent Scotland will generate a certain “luck”. It’s why I can’t stand the thought of a post NO Scotland. It just feels like the dark skies will engulf us. I think this is very true, Thomas. I think it’s actually a good summary of the gut feelings involved in my switch to No from Yes. From my work with entrepreneurs, I know the principles in the first italic paragraph to be true. I think independence will foster a forward-looking, agile approach to governance and economics — as long as the temptation to fall back into ’70s style state socialism is resisted. There was a time when the SNP and the independence movement was backward-looking itself: the early 90s, when I was a student. I believe things have moved on considerably since then.